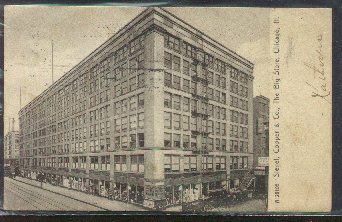 "Siegel, Cooper & Co. - The Big Store - Chicago - 1915"
(768) POSTCARD: Siegel, Cooper & Co. - The Big Store - Chicago-Condition: Very Good.- B&W Photo, 1915. Posted. Price: $4.00 + shipping.